Below is the brief narration of the experience from an ardent sripada devotee ‘Punitha’. It was a chitta nakshatra day. On the previous night I was just being ready and waiting for this day. when it was 12:00A.M on May 13 2014, I started chanting the sidhha mangala stotrum and kept listening to it non-stop.also watched His videos and His padukas abhisheka at Sripadasrivallbha Pitapuram on youtube. Even when I got to bed I kept chanting datta datta datta digambara on every breath and feel asleep. and here goes his miracle, he comes in my dream as a very young little boy, looks so cute and handsome and he asks me to take to one of the nearby samstan. I carry him on my shoulders(just like that vision we get when we read the charithamrutham) and when I leave him in the samsthan, he goes running and missing and transforms his avatar to many kids. I was unable to recognize him. After a while I see a boy who has so much attire on his face. Question him about his maternal grandparents and he replies Bapanaryulu and then I grab him and try to take him back but the samsthan will not allow me to step out and then the dream vanished. I feel happy and blessed to share this experience. Here is the faith boosting miracle shared by one of the Sripada devotees. Sripada srivallbha is the first incarnarion of Lord Dattatrya.HE listens to us every moment. HE stands besides us in life's most critical moment and makes us feel HIS presence. I would like to share a wonderful experience of mine how Sripada guided us to surpass the hurdles and gifted us with the Green card. Our Attorney filed I-130 for my wife, it’s a Family based Green card in the year 2011 and priority date was 2009. We expected it might take at least 2 years to get the process done completely. Even after 6 months our I-130 has not been approved and process was getting delayed. One fine day Query was sent by consulate for submission of the additional document. We submitted the required documents and waiting for the approval of our petition. Unfortunately circumstances made my wife move to the other city for a Job to survive on H1 visa. But her health started deteriorating due to the immense pressure in the Job. She could not get adjusted to the work environment wanted to come back home. With Sripada’s blessings I-130 was approved and waiting for priority dates to become current .As the months go by we were checking monthly Visa bulletin for the current dates.In the year 2012 severe Retrogression in the priority date cut-offs happened for Employment based Category. Luckily Family based category was not affected and advanced to another month. I started reading ‘Sripada srivallabha charithamrutham’ and praying Sripada to see the cut off dates getting closer to our priority date. To our astonishment priority dates advanced to 6 months and so on.We informed our attorney Dates were getting very closer to become current. But she was in hurry to travel to India for 3 weeks vacation. Time has come and our dates were current now. No clue for us what should be the next step. Attorney was back to USA and we started chasing her and completed all required formalities from our end .She submitted all those docs to consulate. After a week my wife received an email saying GC interview is scheduled in Mumbai in three weeks. It was a big shock for us as process has already been initiated here and how my wife can go India now to attend the interview. Impossible to take off from job. Not courageous to take the hard step, if something goes wrong she has to stay back in India until query resolved. Attorney suggested us to check with Visa center if they can move my file from india.Every night it was hell for me talking to the customer care in India but ended up with no positive answer ‘ We should receive a request from the consulate in USA’. Here Visa center says ‘ we can’t request them to move the file’. Meanwhile we were receiving emails for Biometrics following with Visa interview scheduled in a month here. Happy that my wife can attend the interview here but what about our original documents sitting in Mumbai consulate. We were so frustrated and even Attorney was helpless but she suggested us to complete the GC interview here though Visa center doesn’t have our original docs with them. Requested Attorney to accompany us for interview. She responded ‘No problem. But you guys can’t afford me. It’s expensive for you guys’. It was sounded bit sarcastic and My wife got hurt the way she talked then said ‘Why do we have to worry.That’s true.We can’t afford her. Don’t have to waste our money.But we have blessings from Sripada srivallabha and saibaba. They will accompany us. We don’t need any Attorney’. The day arrived, we went to the consulate here, did not stop chanting ‘Datta Digambara Datta Digamabara Sripadavallabha Datta Digambara’. After seeing people with their Attorneys , even my wife’s faith was little shaken as we were not with our attorney. Chanting ‘Datta Digambara’.We have strong faith in Sripada and saibaba but not sure how it would happen without having originals with them. My wife’s name was called in. As soon as we got in Visa officer started taking my wife’s H1 visa documents and filing them separately. Not listening to him at all kept chanting ‘Datta Digambara’.My wife was answering the questions. Finally I heard him saying ‘Your petition has been approved. You will receive your GC in a week’. Visa officer did not talk about original docs just approved GC.It was simply Implausible, Stunning, and Astounding etc. What else I can say. LORD Sripadasrivallbha was our Attorney. How Can I show my gratitude to the Supreme ‘SRIPADASRIVALLABHA’ for making Impossible to Possible. No words to describe HIS mercy and grace towards HIS devotees. Digambara digambara Sripada Vallabha Digambara. Anonymous Sripada devotee sharing swami’s wonderful and Incredible miracle in her life. In what way can we describe His mercy, Compassion and Divine Miracles? I was having a job but it was not stable, I was at this job for 14 months but somehow I was not happy with the job I started reading sripada charithamrutham in may 2013 finished one week parayana. 1) My friend husband went from USA to Pithapuram in June 2013 paid for annadanam on my name for Aug 22 2013. 2) I had serious dental problem and went to dentists office on June 28 2013, they told me it will cost me 3,500$ I came to office and they said they are taking me off the contract I was in shock and cried a lot. 3) My friend helped me with surgery and after a month hospital called me and said they are sending me 600$ back because my insurance covered some part of treatment, this insurance did not cover but this was SRIPADA MIRACLE. 4) Aug 22, 2013 I got a phone interview and after the interview in 10 minutes they called me and said I am selected for that position the day annadanam was done in Pitapuram I got a job. It’s all Sripada (I call him babu with love) love for me. Sripada devotee Divya ji sharing her awesome and heart touching experience here. Reading these amazing experiences gives us positive hope and increases our faith manifold in our Sripada swamy. Sripada swamy said , “ I am a slave to those who forget all worries and constantly meditate upon me”. I am a 28 year old unmarried Telugitelady working in Bengaluru. I got a copy of Sripada SriVallabhaCharitamrutam (English) a month ago from S V Sreenivasa Raogaru and after reading 33 chapters, I was impelled to visit Pithapuram all alone. I was inspired by the Divine Mother’s love towards Sripada Srivallabha Swami and hence decided to carry Halwa for him as an offering. Sri Rao garu gave necessary guidance to visit the place and particularly told me that Sripada Srivallabha Swamy is fond of Halwa made of wheat and I got the same prepared by my mother. Since, the quantity prepared could not be packed in one container, I carried the remaining portion in a smaller container and proceeded to Pithapuram by train. I reached Pithapuram on 05/07/2014 (Chitra Nakshatram Pooja day) and directly proceeded to Pada Gaya temple complex. The moment I entered the temple premises, I encountered a middle aged Priest who spoke to me asking if I wanted to offer any Pooja. I told him that I had to freshen up and he guided me the way to the Sarovar(tank) there. I stood there staring at the area and perplexed of not knowing what I had to do next. I had no intention to take a dip, as there was neither security for baggage, nor enough privacy for a single lady to change clothes. I was lost in my thoughts, when suddenly the same Priest appeared from nowhere and advised me to take a dip in Sarovar and then worship Sri Shanishwara and told that it was auspicious day to perform the pooja to Navagraha and assured me to take care of my belongings. He gave me clear instructions. He accompanied me to the store to purchase the pooja items and thereafter, took me to the counter to pay the token for performing pooja. Thereafter, he asked me to leave my belongings and also instructed me to take a dip. Meanwhile, he promised that he would keep a watch on my belongings till I come out. After bath he personally accompanied me to the Deity. During invocation with Gotranamavali before worship, he revealed the purpose of my visit on his own and said that my elder sister (33 years old) is now under the influence of Saturn and hence reason for delay in her marriage. He specified that the pooja performed then will nullify the negative aspects and told she will be married soon. I was taken aback at his clairvoyance. (Later my mother confirmed about the ShaniDosham in my elder sister’s horoscope causing delay in her marriage). He asked me regarding the purpose of having carried the two containers which were placed in my baggage and I answered. After worship, he asked me to give Halwa for his Consumption and I readily accepted. Thereafter, he personally chose the small container and asked me to give him as prasad. After pooja, He told that my purpose of visit was fulfilled and asked me to proceed. I was baffled as I was yet to have darshan of the presiding Deity in the Sanctum Sanctorum. Then he advised me to proceed to Sripada Sri Vallabha MahaSamsthanam by walk and after taking another bath in the Sarovar. I thought that He would stay guard to my belongings again and took another dip. After coming out of tank, I looked around but He vanished in thin air. I was wondering if I would see him inside the temple premises and went in search for him but in vain. Meanwhile I had the Darshan of other Deities at the temple and proceeded towards Sripada Sri Vallabha MahaSamsthanam. After prolonged search for auto-rickshaw, I decided to walk after recollecting the words of the Priest whom I earlier interacted with, who specifically asked me to walk. Since, no conveyance was seen around for quite some timefor me to take, I began walking in the hot weather and after some distance, suddenly I was stopped by an auto driver, who volunteered to drop me to the Samsthanam. He asked the permission of the elderly couple inside to detour as they were travelling in a different direction. They willingly heeded to the request. As we moved through narrow lanes and by- lanes of old town,the Auto had to stop before a temple close to MahaSamsthanam due to breakdown of a tractor, blocking the road. The man in the auto exclaimed that we got an opportunity to stop by the temple. He alighted and proceeded to the MahaSamsthanam. I straightaway went to the Sanctum sanctorum where the three idols of Sri Dattatreya, Sripada Srivallabha and Sri NarasimhaSaraswathi are housed and requested the Priest (Pujari) to offer the Halwa to the Deities. As it is not the tradition to offer Halwa prepared by devotees, he declined. I was upset (as the dish was prepared with devotion and brought all the way from Bengaluru) and after some time pleaded with him again,to offer. At this juncture another person approached me and readily offered the Halwa to Sripada Srivallabha Swamy’s large idol under Audambar (Ficus racemosa) tree. I felt happy and afterwards began distribution of Halwa as Prasadam to devotees around. But there are few takers and I was non plussed. At this moment Sri Sajjanagarh Ramaswamigaru (Peethadhipathi) came out of His chamber and enquired whether I am distributing Halwa prasadam. When I replied in affirmative, He advised me to take it first and distribute the same to others. I did so and lo! devotees suddenly flocked and I could empty the container of Prasadam in no time. The devotees then said that SriRamaswamigaru seldom speaks to devotees unless He is inspired by Sripada Srivallabha Swamy. Thus a total stranger’s visit to the holy birth place is thus fulfilled. Now I am convinced that I had a past connection with Sripada Srivallabha Swamy and He invited me to Pithapuram and took Halwa from me as a priest in Kukkuteswara Swami temple and took the offering alone (not with other Deities ) under Audambar tree in His Birth place (MahaSamsthanam).I am indeed blessed. Amazing and Heart touching experience shared by Sripada devotee Pallaviji and also narrating how Sripada granted her HIS benign appearance in Subtle form / Sukshma rupa ( Siddha Golas) in her house. When I sit down to write about Sripada Vallabha’s miralces, I do not remember about my bad days at all. That itself is HIS miracle. I belong to a middle class Brahmin family. I was introduced to SPSV by a very dear frnd of mine. She used to tell me about HIM and asking me to believe in HIM and to read Sripada Vallabha Charitamrutam. I used to worship Lord Ganapathi at that time and was not willing to believe in any other deity. One day we went to Chowdeshwari temple and she had brought SPSV Charitamrutam and Guru Charitra for me. She asked me to start reading SPSV Charitamrutam from that day onwards, in the temple itself. I read the introduction. It was on Jan 5th 2012. I brought the books home and kept it on the TV stand. Never looked at it. One fine day, May 25th 2012, I suddenly took the book and started reading. I started reading the book in my room. Slowly, I made the habit of reading it daily, started chanting Digambara Digambara Sripada Vallabha Digambara. Things started getting better day by day. I mean, I became very positive, very strong and very confident. I was not like this before. Gradually, I started reading the Charitamrutam in the pooja room, by arranging the photos and all there. I used to offer flowers, naivedyam and decorate with lots of diyas. Every Thursdays I used to make halwa or payasam for SPSV. I used to feel so happy to do that. My parents started looking out for a groom for me. Somehow nothing worked out for 3 yrs. There was a proposal in Jan 2013. Everything was matching here, the education, job, parents, the family and all. They were not keen on the girl working or not. But somehow I dint like the guy, I do not know why. My parents were not ready to listen to me. They were seeing all the positive sides and were forcing me to say yes as they did not believe in “liking” someone to get married. But my heart was not there. I prayed and prayed and prayed to SPSV. After a lot of crying, my parents left the matter after 1 or 1.5 months. I was also blessed to go to Kuruvapura on April 18th 2013, just within 1 year of started reading the Charitamrutam. I went along with my frnd who introduced me to SPSV. Just after we came back from Kuruvapura, this proposal came back again. My parents said that maybe this is the one, or else, this would not have come back after 6 months. I also thought the same and with a heavy heart, said yes to this proposal. I prayed Lord Sripada that – If you say yes to this proposal, then even I will say yes. I asked HIM is he my husband? Pls give me some hint cuz my heart is certainly not able to accept him as my husband. I cried and prayed in front of HIM. I tried to develop feelings and respect for that person but I failed. Also, I must say that I was not worrying now as I knew that Sripada will do something. It was August 5th 2013, in the morning. I was talking to my frnd (who introduced me to SPSV) and was crying. I told her that I have totally surrendered to HIM. I will accept whatever HE decides for me. She consoled me. The same day, it around 7:30-8 pm. I was on a call. I was sitting in my room, watching TV. Suddenly I saw something right in front of me. It was round in shape, illuminating pink and blue rays from it. It was moving like Sudarshana Chakra. Where ever my eyes went, I saw that. It was following my sight. I saw that on the wall, on top of the roof everywhere. I came out of my room, told my mom. She could not see anything. I tried showing it to her, it was right on top of her head, behind her also. She could not see. My dad came out of the kitchen, he could not see as well. He said that its due to my eyesight problem and that I see a lot of TV.I t was there for abt 6-7 mins. Then it went off. Then I realised that it was none other than SPSV. HE came in front of me to console me, to give me strength and to tell me that HE is there with me. None of them believed when I told them this. But, after what happened later, my mom believed. What happened late, pls read on. It was Ashadah month in July and the guy’s mother called up my mom to say that they will come home on a Sunday after the Mahalaya Amavasya. Also she said my mom that her son wanted to talk to me and asked us to decide after that. We were all thinking what could it be? But we never guessed anything. The Sunday came and the guy came along with his father. Another frnd of mine (colleague, not the one who introduced me to SPSV) was also there with me to support. They guy’s father asked us to go out somewhere to talk. My frnd also came along with us and we were wondering what it could be. We reached a Coffee Day nearby and my frnd was sitting away from us. They guy started talking generally abt things and then he said that he wanted to talk abt his health. I told him to pls go ahead and continue. He was sweating in the AC. He said that he is diabetic since 2 yrs and he is under treatment and the doctors are reducing his medicines. Then he said that he is in depression since his 10th std and is under medication. This is what he wanted to tell me and they wanted us to discuss and then take an informed decision. I was blank for a while. Then spoke to him and encouraged him and gave him confidence that everything will be alright, we just need to believe in god. Believe it or not, I started to talk abt SPSV, Guru Charitra, HIS leelas and all that in CCD I also told him a couple of stories from Guru Charitra He felt so good. He asked if the book is available on flipcart so that he can buy I told him to visit Dattatreya temple where the book is available and gave him the address. He was pleased and said that whenever he spoke to other girls’ abt this, they made faces, they insulted him but I, supported him. And he was very happy for that. Meanwhile, his father had told everything to my parents at home. We came back and they left after a while. We all discussed, and my parents did not want to take risk and said that we will not go ahead. My parents who were forcing me to get married to him, now, they themselves don’t want this to happen. I feel bad for the guy. At the same time, sould not get married to him either. His mother called up my mom and expressed her regret that I could not be her daughter-in-law and also felt happy for the way I treated her son. Jai Guru Datta Sri Guru Datta. Sripada devotee sharing her another incredible experience here. :- Sripada swamy responds to the suffering of a devotee may order Brahma to erase the writing on the forehead of HIS devotee and inscribe a new writing of destiny. There is nothing impossible to the devotees of Sripada swamy. Sri Pada Rajam Saranam Prapadhye!!!!!!!!!!! My grany prays to Datta daily and she treats him like his son. if she heard any news(good or bad), she goes to Pooja mandir ad she says to Datta. she is very attached to him. One day my grand father position gone wrong, he stopped talking, he stopped eating. He was just breathing. some thing bad smell was coming out of his body. Doctors said its highly impossible to save him. Every one scared to touch him. Blood was coming out from skin drop by drop. Then my grany applied VIBUTHI of Sripada instead of ointment where bleeding was happening. Then bleeding stopped gradually, my relatives started visiting my Grand father as they treated that the days were last days to him. My grany used to pray Datta with her tears every day to make her Pasupu ( Turmeric) kunkuma strong. He became some what better but he was not fine absolutely. My uncle(their son) has taken them to GANAGAPUR in 2005 to fulfill his last wishes. They stayed there for 10 days. Every day my grand father took bath in SANGAMA SNANA GHATTA in GANAGAPUR. Do you guess how he back to our place!!!!!!!!!! He was perfectly alright, A small mark also was not there on his skin to recognize that he was patient while going. He shared his experience with us that what happened in Gangapur. When he was in Meditation he gone to Datta place where arranged with all Kamala pushpas He talked to some one and came back. We believe that its none other than Sri pada. Sri Pada Rajam Saranam Prapadhye, if we believe him and pray truly he shows us his miracles/leelas in every step. He always watch us. He is mother,friend,siblings,father... what not!!!!!!!!! He is everything, He can do anything for his devotees. I am glad to share this experience with all Datta devotees. Sripada devotee sharing her wonderful experience here. Sripada is skilful in creating problems. In the same way He is dexterous in solving problems. Here goes my other experience with my lord – Sripada Sri Vallabha. I have been given a phone for office purpose. I was talking on that phone in the morning when I reached office. I opened a door to climb the stairs and to reach my floor and suddenly my phone slipped and fell off. It was given by my manager for official purpose. I was so nervous. I went down to see where it was but I just found the phone but not the battery. I searched there but could not find. I started praying Sripada Vallabha and baba to get me the battery. Or else, I had to have a tough time with my boss. What would he think? He would have shouted at me. I was thinking if I have to buy another phone from my pocket and replace and all that. Hundreds of thoughts at the same time. I was praying. I saw my colleague coming down and told him abt it. He went down and looked for the battery and he found it immediately!! He gave it to me and smilingly asked for Rs 100. I said – “yeah yeah , will give it to you” and I left. While coming back to my place, I realised that I send Rs 100 to Datta Kshetra , Kuruvapuram every month. I have not sent it this month yet. And this colleague asked me for Rs 100.
:- The motherly love of Sripada is greater than the love of thousand mothers . When compassion and love shower from HIS divine eyes , HE looks very much like Mother Anagha – an Embodiment of Three shakthis. I love Sripada a lot, argue and fight also with sripada swamy because I treat sripada swamy as my family member and my little kid. I was going through a lot of family stress, I had an emotional breakdown and stopped my car in parking lot and cried for a lot of time, I was crying because I love sripada and why is he testing me, is my love not enough for him and does sripada swamy love me or not. I told sripada swamy if he loves me he needs to show me the proof.I go to shiva abhishekam regularly. 1)that night in my dream I saw white shiva lingam and sripada swamy (I call him babu) came in my dream as a little kid and told me "amma(mother) why are you upset with me, i am doing what is best for you,please dont be upset me and I love u too"
2) I know one dedicated sripada devotee and he came in the same dream and said sripada swamy loves you a lot. :- The sportive plays of Sripada Srivallabha are unimaginable. No one can comprehend the mysteries of time, fate and causes.That is possible only for Sripada. I was asked to do Pranayama regularly to get out of my sinus problem. But due to nose block and congestion i was unable to sleep well in the night and hence not able to get up in the mornings..My sleep routine completely got reversed due to my sinus problem. I was praying Sripada swamy to help me fight this health issue and wake me up in the morning so that i can practice Pranayama. Daily I would put Alarm for 6AM but keep on switch it off when it rings, to continue my sleep!! He is our mother, teacher, friend, son..& what not!!! Just thought of sharing this with you..
Sripada Rajam Saranam Prapadye...Jai GuruDatta..Sri GuruDatta..
Below is the wonderful and amazing experience shared by Sripada Devotee Sulocahana ji reflects her Spiritual life and immense devotion in Sripada Srivallabha. Lord SRIPADA wanted all of us to share our experiences which really increases our faith and trust towards the divinity and makes us remain at His Padhalu forever. Sri Pada is an ocean of compassion. He is well aware of our physical and mental capacities. Once we surrender to him, at least have complete trust on HIM…I am sure each one of us will recognize his blessings beyond expectations by His Grace and protection. First, I just wanted to share as to how I got introduced to Sri Pada swami and how he has picked and dragged ME (who is unfit rather not eligible for anything ) towards him…for making me secured and happy always with his Grace. Infact, the time, date and year is decided by HIM…. Great souls descended on the earth in the form of noble teachers, the pious fakirs, saints who live among us. 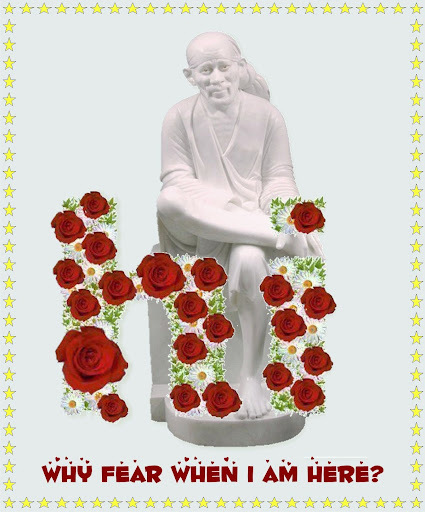 SAI BABA is one such whom even a one year child now knows that HE is Sai…….I sincerely wish SRIPADA is too known that way….. I am a sai devotee from my childhood unknowingly, as I said He picks us. My father went to shiridi and brought a BABA idol for me, with which I used to play as if He was a guest to our house and ….After 3 months from then my father passed away, and I came to know Baba is GOD and he is in Shiridi and so on …I prayed him that because he took my father soon, he should be my father from then and do call him as Dady from then onwards….read Baba satcharitra and did parayana of leela amrutham and satcharitra often. Life has taken many ways from then, though hardships as we may call, will have to face them and ofcourse with His grace will overcome all. Many advised me to do parayana of Gurucharita which is a powerful tool for any kind of difficulty that comes your way. Honestly, I did read the book only for that particular reason that I should overcome the agony I was facing then. Miraculously, that book was completed and the next day my long lasting problem was solved. By then I have read the book for the sake of reading it for the problem to be solved only…though I read about Sri Pada in the first ten lessons of the book, somehow I was scared of GURU Charitra , because I was told Lord Datta is very very particular about Niyamas and those who cant follow them, better don’t go towards HIM. Some sort of fear in mind towards Lord Dattatreya. But It is He who picks us…used to attend BABA satsangs at Janardhan Reddy garus house, He used to explain the leelas of Baba and different Sadhgurus. One fine day, had an opportunity to meet Swami Shivananda Maharaj at Gangapur, on 9thNovember2011. Blessed I am to have his Holy darshan and listen to his satsungs and bhajans. He always used to say to utter the word DATTA also, is HIS will and only when one enters good days in their life, will they be able to say DATTA. Digambara Digambara Sri Pada Vallabha Digambara was the most recited nammam by Swamiji. He made us chant this namamu often and always used to fill in courage within us saying that WE ARE THE CHILDREN OF THE LION, THE SRI PADA. …..WE AS HIS CHILDREN SHOULD BE BOLD AND FACE THE LIFE AS IT COMES TO US….the thing we need to do is His Nama Smaran and Parayana. You need not run anywhere, be good and do good and chant his namam and He will always be there to us to take in the right direction and solve the circumstances that do come in our life. Swami organized in February 2012 the Sapatah Parayana of Sri Pada Charita Amrutham, which are memorable golden days in my life. Morning parayana and evening bhajan and satsung by Swami . It was then he moulded me towards Him ...Lord Sripada was so kind and lovable that he had made me realize that HE was the one and only ONE for whom I had been long lasting all these years. If you look at him, His eyes especially showers a lot of love on us and no words to suffice the feeling too, SRIPADA swamis love towards us is equivalent to crore mothers love…can we imagine it….but I started enjoying his presence and recognize his leelas in all I do……you wont even believe at home people used to tell me that I was going mad saying Sri Pada and left Baba with whom I had been there for years and I will have to pay for my ignorance later. Though I tried to explain them Sai Baba is none but Sri Pada aamsa only…and it is only Sai Baba who had made me to know about SRI PADA and so I am this way...but had to listen a lot...but thought that they will also realize this in due course of time….I used to pray HIM and surprisingly now all at home say SRIPADA…….His Grace not to mention too. Then SriPada swami showered even more grace on me and made me introduced to Srinivas oruganti garu and Keerthi Vallabha garu on 15 September 2013 whom I should say are blessed children of SRIPADA. I am sure most of you have gone through the website by keerthi vallabha garu….http://sripadavallabha.org…..and if anybody didn’t have the chance to browse this website….I should say you have not missed something but lost everything……Unrevealed secrets of SRIPADA is a treasure which cannot be measured in tons too…you have to read and experience it. Please go through this website which is very very informative and lovable one for every DATTA devotee. Indeed, I got to know more about Sripada swami, his leelas, his avatars, holy and hidden datta kshetras, about gopuja, holy trees and many more. Mind gets strengthened only by practice. My sincere request is to chant the Digambara namamu always as it has the power to heal any problem that occurs…as it is said DATTATREYADU IS STHOTRA PRIYADU…..let us all try to share our experiences with all and make our Lord SRIPADA known to one and all. I sincerely believe that what ever happens in our lives is His order only. I feel if we ask for something to be given to us, may be we are missing a boon he wants to give us. Because He knows when to give, what to give us better than us. So let us all pray Him that we should never ever leave his Padhalu….by the hindrance of MAYA….as BABA himself says I myself am encircled in this MAYA…..then where are we? SRIPADA SWAMI SAYS: I AM THE CREATOR AND CONTROLLER OF THIS UNIVERSE. I AM NOT CONFINED TO ANY SINGLE PLACE OR TO A PARTICULAR SPHERE. I AM EVERY WHERE AT ONCE, HEEDING AND RESPONDING TO THE PRAYERS OF ALL WHO CALL ME OUT WITH FERVENT DESIRE. THERE IS NO BURDEN I CANNOT SHOULDER, NO WORK WHICH I CANNOT ACCOMPLISH AND NO PROBLEM THAT I CANNOT SOLVE IN THE UNIVERSE. What more do we need, when He is there always with us. Page created in 0.705 seconds with 63 queries.